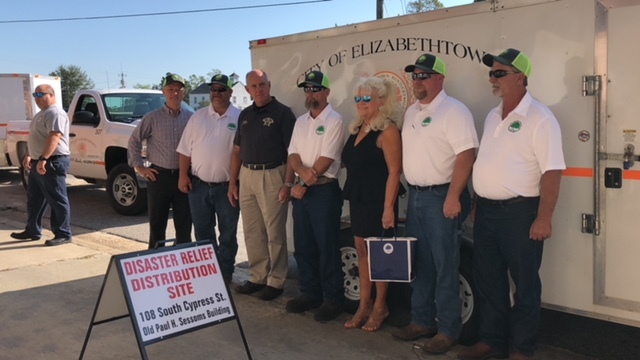 After learning of the plight of Bladen County residents impacted by Hurricane Florence, a city in Kentucky decided to reach out to the town of Elizabethtown to learn what is needed and how they could help. 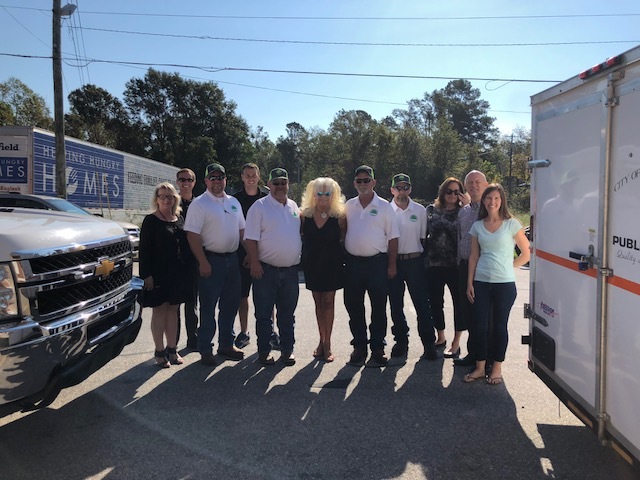 Mayor Sylvia Campbell welcomed the Public Works team from Elizabethtown, Kentucky on Thursday morning, as they arrived at the Bladen County Distribution Center with a special delivery. “Words are just not adequate to express to you the gratitude we have for the showing of your generosity,” said Mayor Campbell. 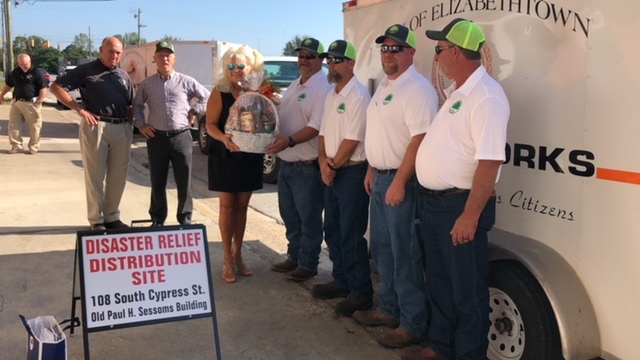 She explained that the donations came about as the result of a telephone call from one Mayor to another, wanting to know how her town could help the victims of the storm. Elizabethtown, Kentucky has a population of 30,000 residents compared to Elizabethtown, NC’s 3,583 in the 2010 Census. 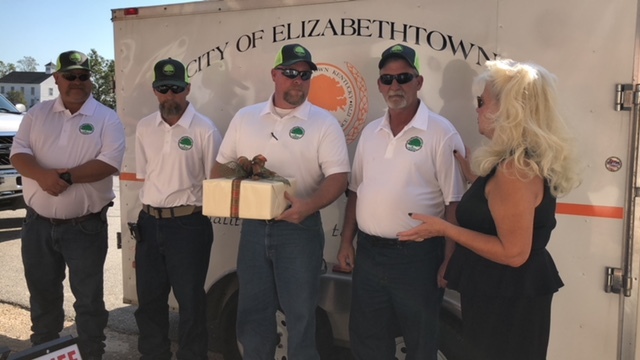 The team from Elizabethtown, Kentucky consisted of members of their Public Works Department. They were Justin Yates, Chuck Patterson, Rick Marlatt, and Troy Coggle. “They have needs in their town, I’m sure,” said Mayor Campbell. 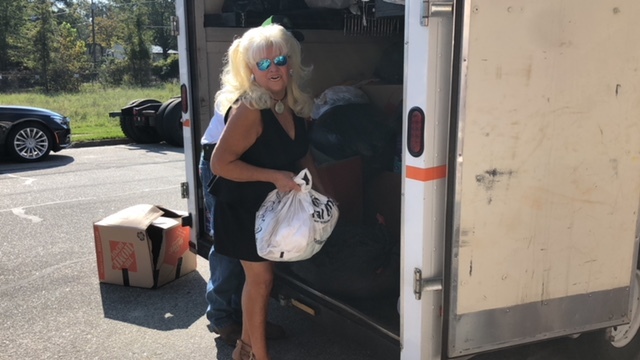 She was grateful they chose to reach out to the residents in Elizabethtown and Bladen County. 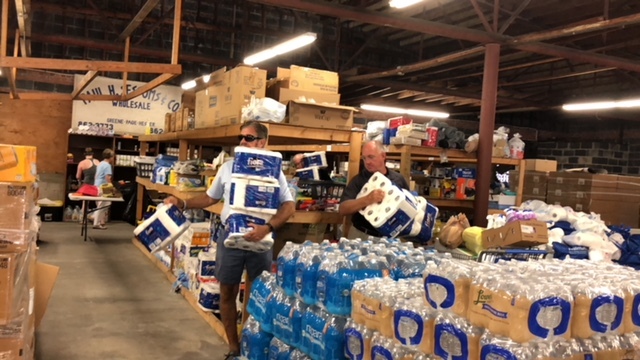 Mayor Campbell told those gathered at the distribution center in Elizabethtown, NC that she had learned before the trucks left Kentucky, there was a prayer meeting conducted and all the donated items were prayed over before they were transported to North Carolina. 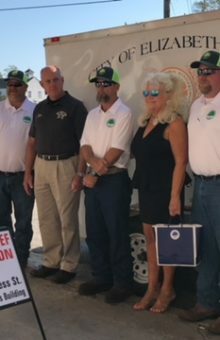 Bladen County Sheriff Jim McVicker was also there to welcome the team to the distribution center. 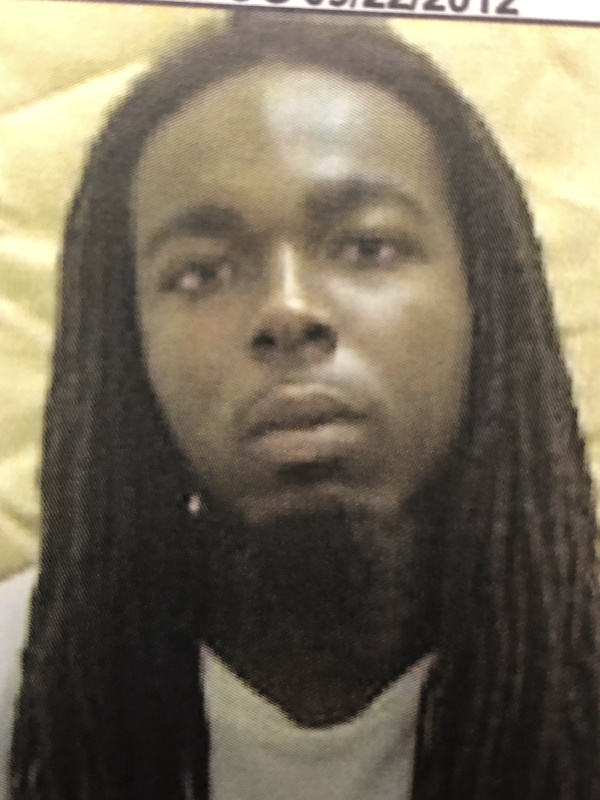 “Everybody in Bladen County is very honored and very, very indebted to you all for what you have done for us. On behalf of the people in this County, God bless you,” said Sheriff McVicker. Members of Foundation Bible Church who have been assisting at the distribution center were also very appreciative. Rev. Jason Williams offered a prayer over the items and team who delivered the items. “We thank you for all you’ve done. This is gong to mean a lot to everyone,” said Rev. Jason Williams. Yates estimated the weight of all the donated supplies to be about 10,000 pounds. The donated items included, cleaning supplies, food, clothing, bottled water, hygiene supplies, and diapers. He said the town collected all the donated supplies over a three-day period. 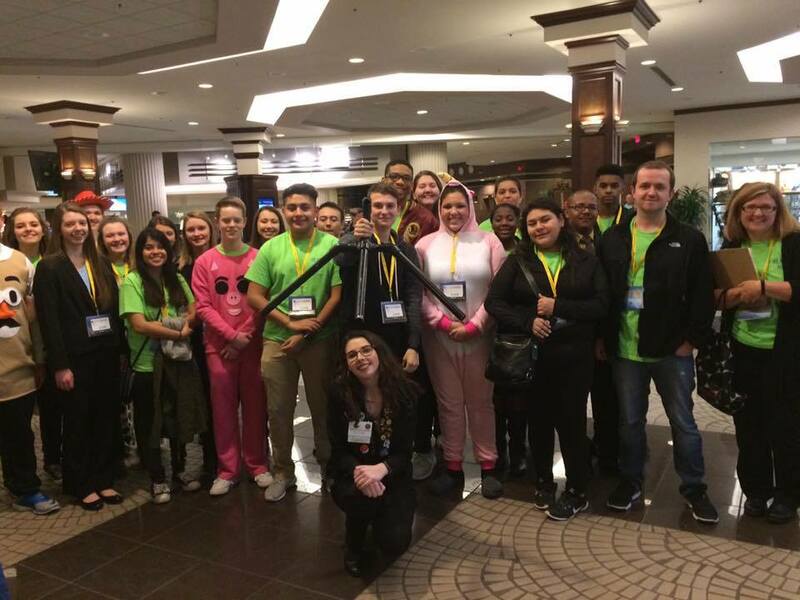 Yates said delivering the items has been a very rewarding experience. Rev. Williams was grateful for the donations. “Well obviously, I would say it was timely,” said Rev. Williams of the delivery. He said the supplies are meaningful to the residents who receive them. He said the supplies from the distribution center will help those who are struggling to have a sense of normalcy. The distribution center is located at 108 S. Cypress Street in Elizabethtown. It is open for individuals to pick up supplies from 2 p.m. until 6 p.m. and are closed on Sundays and Wednesdays at 6 p.m.